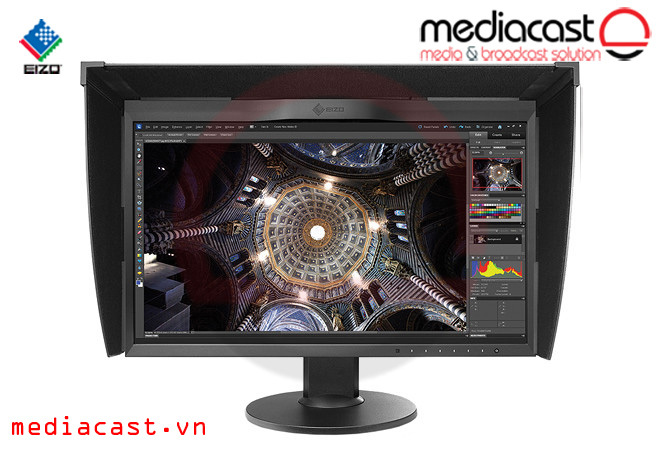 Eizo ColorEdge CG2420 24" 16:10 Hardware Calibration IPS Monitor là màn hình 24'' sử dụng tấm panel IPS, tỉ lệ 16:10 được tích hợp hệ thống cân chỉnh màu tự động cho độ chính xác rất cao. Được sử dụng nhiều cho đồ họa, sản xuất video hậu kỳ, hiệu chỉnh màu, in ấn và photo. 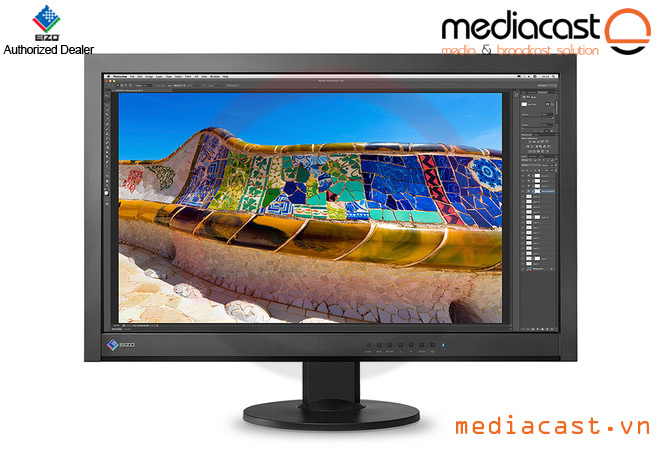 The ColorEdge CG2420 24" 16:10 Hardware Calibration IPS Monitor from Eizo is a professional-grade monitor designed to provide you with the features and specifications required for color-accurate content production. At the top of this display is a built-in calibration sensor that speeds up your workflow as well as eliminates the need for a third party tool. 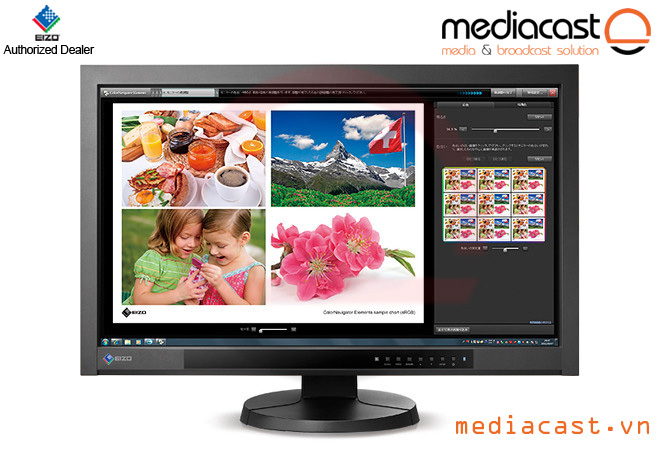 This display has a 1920 x 1200 16:10 screen resolution for crisp and clear pictures along with a 1,500:1 static contrast ratio and a 400 cd/m² brightness rating for darker blacks and brighter bright colors. 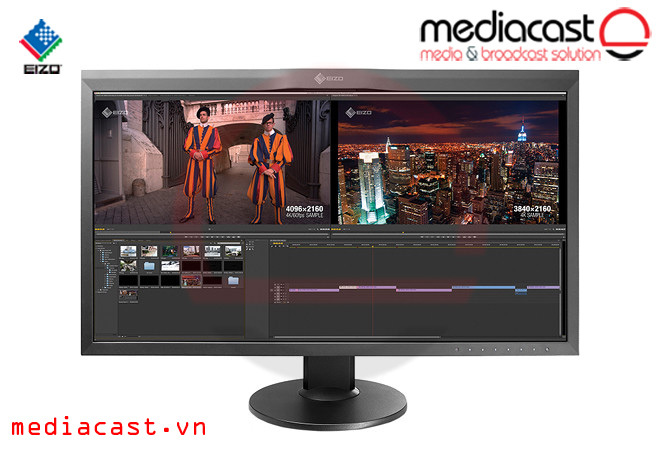 Furthermore, it has a 10 ms response time for lag-free content reproduction and supports up to 1.07 billion colors. Additionally, with an In-Plane Switching (IPS) display, you'll be able to enjoy wide viewing angles and vivid color reproduction. Connect this display to your system via DVI-D, HDMI, or DisplayPort and then tilt, swivel, and adjust the height to your viewing preference. Otherwise, you can remove the stand and install an optional mounting arm or stand using the 100 x 100mm VESA mounting holes on the back. The automated screen calibration sensor is located in the front bezel and swings onto the screen only when calibrating, eliminating the need for a third-party calibration device. It can also be used when the monitor is set up in portrait mode. 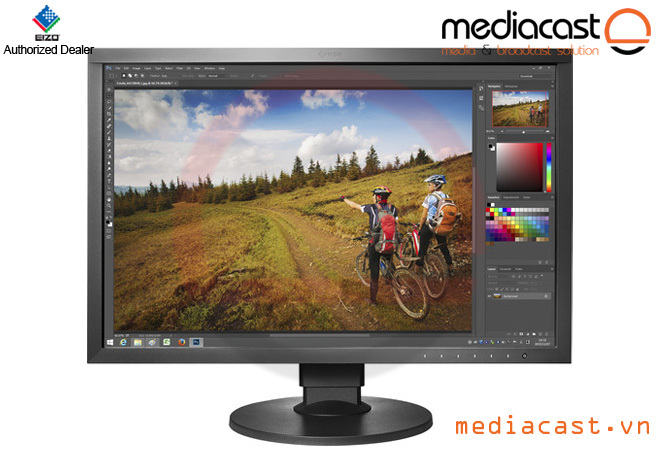 The ColorEdge CG2420 takes roughly three minutes in order for its brightness, chromaticity, and tone characteristics to stabilize providing you with reliable color display soon after turning it on. 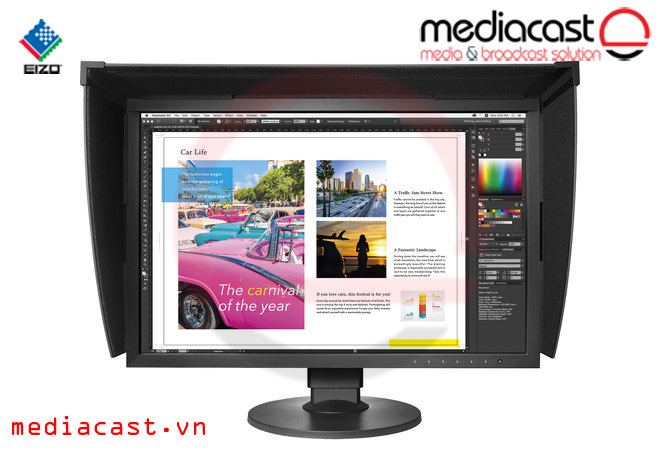 When viewing monitors from an angle in a dimly lit room, dark tones typically appear washed out due to the display characteristics of LCD backlights; however, this monitor is equipped with a film that allows the dark tones to retain their depth. 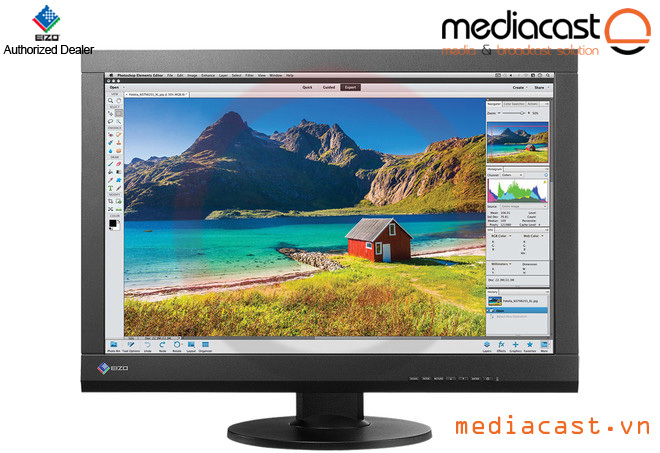 This monitor comes with a light-shielding hood that magnetically attaches to the display to prevent glare caused by ambient lighting. 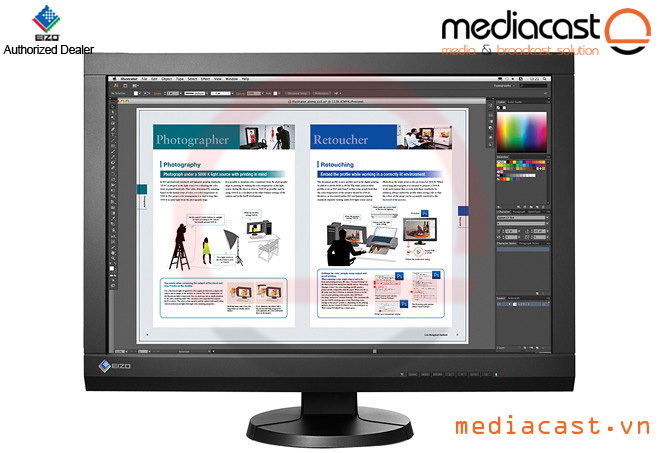 With ColorNavigator NX, calibration information is saved to the monitor instead of your system so you don't have to recalibrate it if you're connecting it to more than one PC. 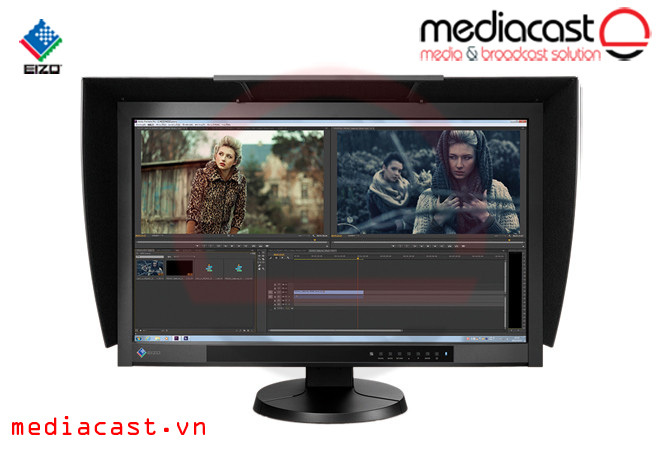 ColorNavigator Network serves as a centralized quality control center for ColorEdge monitors that have ColorNavigator NX installed. With it, administrators can set color modes, schedule self-calibration, register or adjust asset management settings, and other tasks whether the monitors are local or remote. Furthermore, ColorNavigator Network is hosted on a secure cloud server so you won't be burdened with the cost of providing your own server.